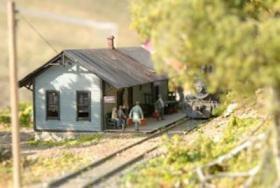 If you like miniatures and models, the Brattleboro History Center has a few new items you might want to see next time you come downtown. Recent additions to the History Center include a large, colorful model of Ft. Dummer, a beautiful scale model of the covered bridge to Dummerston over the West River, and an HO scale model of the Newfane station and railroad buildings of the West River Railroad. 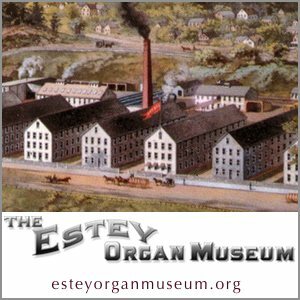 In addition, volunteers will be cleaning and restoring a unique dollhouse built by workers at the Estey Organ Factory from scrap wood left over from organ making. The dollhouse includes furniture and furnishings. The Brattleboro History Center opened in June with a sneak preview and a promise to help the community explore Brattleboro’s rich past. Visitors can see displays that include the inaugural gown worn by the wife of Governor Levi Fuller, posters and awards from Valley Fair, china from old hotels and the Wheel Club, and more. Local history buffs will enjoy exploring newspapers and pharmacy records from a century ago, or taking a walking tour of historic downtown architecture. Local collectors of historical Brattleboro items are encouraged to get in touch with the Brattleboro Historical Society to discuss the possibility of displaying part of your collection at the center. Drop in, get involved, and share your memories at the new Brattleboro History Center at 196 Main Street (Masonic Center side porch door). Open Thursdays and Fridays, 2-4 pm and Saturdays from 11 am – 3 pm. Also open for each Gallery Walk. Admission by donation; free for BHS members. 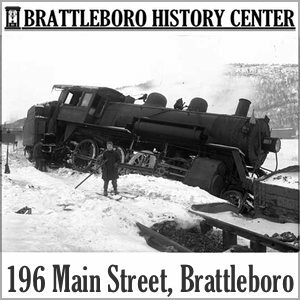 The Brattleboro History Center is a project of the Brattleboro Historical Society. History Center - a downtown treasure! To accompany the model of the West River RR Newfane station is a wonderful video about the history of the RR. This History Center (museum) is a must see new addition to downtown Brattleboro! Don’t miss it and be sure to check back often for the ever changing displays. I was transfixed for 45 minutes as I spoke to ladies who are part of the Historical Society. I’ve always been interested about anything pertaining to “The Good Ole Days.” In this case, pictures and items from the late 1800s into the early 20th Century. I honestly thought I was in something of a time warp. If there was portal to step into for a couple of hours I’d sign up. The Brattleboro History Center at 196 Main St. is a real treat. Hours are Thursday and Friday 2 to 4 p.m., Saturdays 11 a.m. to 3 p.m., Gallery Walks 5 to 8 p.m. You can dial up 802-258-4957, histsoc@sover.net, http://www.brattleborohistoricalsociety.org for more information.